Chrissie Manion Zaerpoor grew up in Hoopeston, Illinois, a small farming community about an hour from Champaign-Urbana. After a Bachelor of Science degree in Physics from Arizona State University and graduate work in Electrical Engineering at Columbia University, she was a process engineer and engineering manager at Intel Corporation for 13 years, mostly in Hillsboro. Chrissie has been a Yamhill County resident since 2005, when she and her husband founded Kookoolan Farms, known for its grassfed and pasture-raised meats. She’s a founding board member of The American Mead Makers Association, author of “The Art of Mead Tasting and Food Pairing,” and a seasoned world traveler. Chrissie and her husband were foster parents in Yamhill County for a year, and have been involved with Friends of Family Farmers for many years. She brings appreciation for the richness of Yamhill County’s food, farming, and wine culture, experience with Yamhill County’s foster care system, and the first-hand knowledge of running a small farm and small business in Yamhill. She has three grown sons and two young grandchildren, and is a devotee of Craftsman architecture. She’s “barely functional” in Spanish and pursuing fluency. Laura Hartley serves as the Dean of the College of Arts and Sciences at George Fox University in Newberg. As fairly recent transplants to Oregon, Laura, her husband Ben, and teenage children Luke and Tess have just begun to put down roots in Yamhill County. Having lived in five different states in the past 25 years, Laura appreciates the interesting and unique ways that people and place come together to create thriving communities. Laura holds a bachelor’s degree in Interdisciplinary Studies from Wheaton College (IL) and master’s and doctoral degrees in Linguistics from Michigan State University. She is a passionate advocate for education, and especially for the liberal arts as a transformative experience for shaping the minds and hearts of future leaders. When Dianne joined Haugeberg, Rueter, Gowell, Fredricks & Higgins in 2003, she become the first female partner in the oldest law firm in the state of Oregon. Her specialty is estate planning. Community activities have included providing pro bono counsel for McMinnville Area Habitat for Humanity, board member of the Yamhill County Bar Association, board member of Kids on the Block, board member of the McMinnville City Club and board member of the McMinnville Rotary Club. 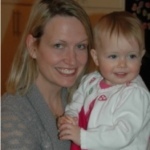 Dianne is married to Brian Shea and has two children, Keller and Cate. YES’s Books for Babies is Dianne’s brainchild and she oversees the project. 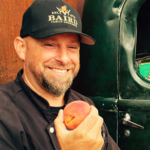 After studying at the Western Culinary Institute, Jody began his career at the Heathman Hotel in Portland. Soon after that he worked as a personal chef, where he experienced regional favorites throughout North America. He completed his culinary education at the famed Culinary Institute of America. Jody and his wife, Michelle, own and operate the Red Hills Market in Dundee. 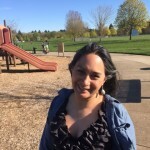 Rita Martinez-Salas is a life long resident of Yamhill County, currently works at the McMinnville Public Library. She has taught Chicano/Latino Studies at community college and is an active member of the Latino Advocacy Coalition in McMinnville. Rita holds a masters degree in interdisciplinary studies from Oregon State University and an undergraduate degree in Sociology from Western Oregon University. She is a passionate advocate for cultural arts, education, recycling, and social justice. 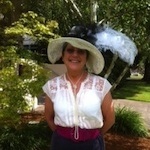 Ms. Metzler is recently retired from a decade as Development Director for the Oregon Historical Society. She has also held leadership positions at the World Forestry Center and the Providence Health Foundations. 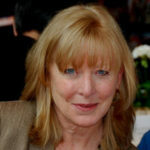 Sue brings over 25 years of non-profit development, marketing, and management experience to YES. Though born, raised, and educated in California, Sue is a born again Oregonian who raised two boys in Oregon and loves to explore our state and its many physical and cultural wonders. She and her husband Dave, are currently renovating a vintage home in downtown McMinnville where they hope to welcome numerous grandchildren and friends in the coming years. New to Yamhill County, Jose Rodriguez is in the process of transitioning his Carwash Products Sales and Services Company, QC Pacific, of 15 years in Southern California over to his son and daughter. He is newly elected to the St. Vincent de Paul Society Board here in McMinnville and volunteers twice weekly at the Star Room at the First Baptist Church. He and his wife, Mary Ann, CFO for Linfield College, live in McMinnville and have found its genuine sense of community a true blessing. Susan Sokol Blosser, wine industry pioneer, community leader, environmental advocate, and author, is a contemporary Oregon icon. 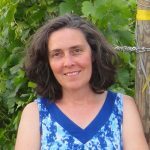 As vineyard manager, then president, of Sokol Blosser Winery, she was a forerunner in practicing the triple bottom line of people, planet, profit, while pursuing her vision of making fabulous wines. Her business memoir, At Home in the Vineyard: Cultivating a Winery, an Industry, and a Life came out in 2006. Gracious & Ruthless: Surprising Strategies for Business Success, appeared in 2008. In 2014, she published her third book, Letting Go. After turning the winery over to two children, Alex and Alison, who serve as co-presidents, Susan stepped back with the title of Founder. 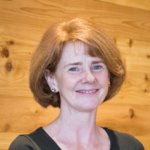 In 2011, she founded the Yamhill Enrichment Society (YES), whose mission is “Building Community Through Innovation and Collaboration.” Susan serves as YES’s president. 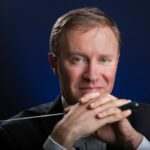 Conductor, researcher and educator Seth F. Wollam has taught music at every level and is currently Linfield College’s first athletic bands director, leading the marching band and basketball. 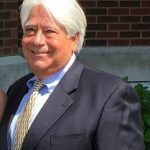 He has a Bachelor of Music degree in music education from Youngstown State University, a Master of Arts from Indiana University of Pennsylvania, and is an honorary member of Kappa Kappa Psi and Tau Beta Sigma. Wollam is also on the board of directors of the International Society for Research and Promotion of Wind Music (IGEB).